The Three Masted Schooner was built in 1871. It sank in 1915 in 95 ft of water. 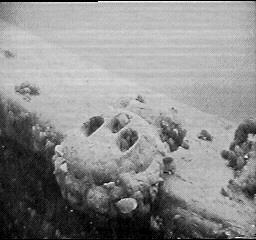 The vessel is 135 ft. long and is very intact. lives and a load of feldspar.